Never miss out on favorable fishing or boating conditions again! 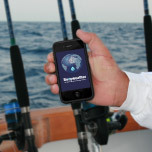 Receive a marine forecast email alert every time the location you choose meets your ideal conditions. Or, use this email service as a warning and get alerted when the weather or swell conditions are unsafe. For whichever reason, read below to learn how to set up as many email alerts as you want. Let your friends know about Buoyweather Forecast Email Alerts. Share now! Navigate to the Buoyweather.com marine forecast page of your choice and click the "Add Email Alert" link at the top of the page. Name the email alert and fill in the forecast conditions form. Specify ideal swell height, swell period, wave direction, wind speed, wind direction and surf size, then click "ADD NEW ALERT". You will be sent to an email alert confirmation page where you will have the option to edit or delete your marine forecast email alerts. Otherwise, you are done and will start receive alerts immediately. Be the first to know when to get out on the water. Choose a location from the upper left hand menu and start setting up alerts today!